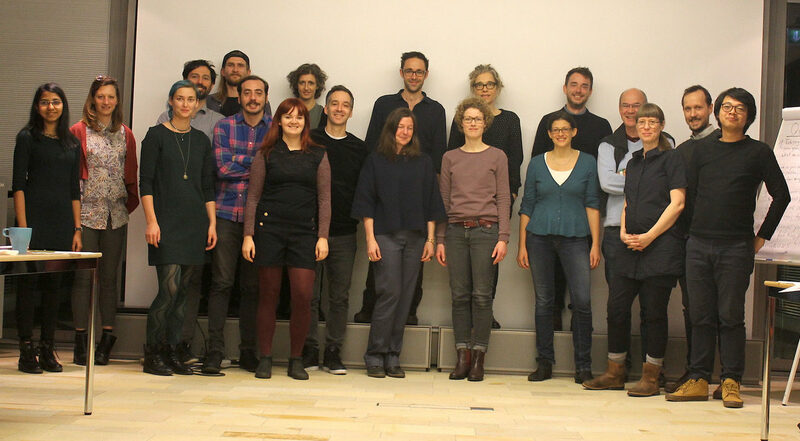 In November 2017 the workshop ‚Circling the Square: Re-designing nature-cultures in a changing urban climate’ took place at the Technical University of Munich. An international group of scholars from STS, landscape architecture, anthropology and design set to explore conceptual and political strategies to turn societal imaginaries of urban public squares upside down. Circling the square, we argued, is necessary to unleash the potential of these spaces and of certain design strategies to ensure urban sustainability and ecological conviviality in the Anthropocene. Urban planners, architects and designers are increasingly confronted with highly complex socio-ecological dynamics and challenges. Urban metabolisms and energy consumption patterns have made a major contribution to the current planetary catastrophic situation we live in. At the same time, urban environments have become both, extremely vulnerable to heat island effect, extreme weather events and climate change and an ecological refugium of sorts for species that are losing their habitats due to agrochemicals and monoculture deserts. In this context, public squares play a central role in current efforts to meet such paradoxical socio-ecological challenges. In Germany, the context we know best, many cities are currently developing and implementing all sorts of projects to measure and optimize the “ecosystem services” in and around public squares. The challenge, however, and this is the premise of our interdisciplinary project ‘100Places M: The implications of the heat island effect for urban design’, is not just a techno-scientific one. Addressing current transformations of urban natures-cultures necessitates a radical revision of the epistemic and political premises of the ways in which urban squares are conceived and (re)designed. Hence the workshop ‘Circling the Square’ proposed to explore an alternative ontology of squares. In his introduction, Ignacio Farías introduced the notion of ‘circling the square’ by invoking Walter Benjamin’s opposition between the monumental and regularized squares of Hausmann’s Paris, and the ‘tiny hidden squares’ of Paris, ‘lucky accidents in the urban landscape’, which for Benjamin had the potential for becoming the future Gardens of the Hesperides. Benjamin’s veiled critique of the square of modern urbanism can be related to the reimagining of squares as key nodes of a networked city that need to be designed as both, centers of redistribution for flows of populations and also as centers of representation; key spaces in which the highly differentiated metropolis could be integrated, functionally and symbolically. At least since then, modern imaginaries of squares are shaped by profound divides between nature and culture, the technical and the social, the public and the private; places in which technological infrastructures are to be held invisible, and where “nature” has to either fulfill ornamental function or provide “ecological services”. The alternative Benjamin invoked was one of squares where the tree leaves would glow as Golden Apples illuminated by gas-burning streetlamps – squares that are not designed but the result of ‘architectural improvisation’. So, if these ‘lucky accidents’ would represent the future of public space, then this is one where natural, technical, human entities come together in surprising ways; squares that also resemble orchards. Indeed, by invoking the Garden of the Hesperides, Benjamin wasn’t just celebrating the rural, the agricultural, as an urban public space, but also speaking of presents of Gaia to be protected, and cultivated. The image was an invitation to escape the modernist deadlock of imagining realistic fixes to overwhelming challenges and provide a different ground to flock together, to circle the square. 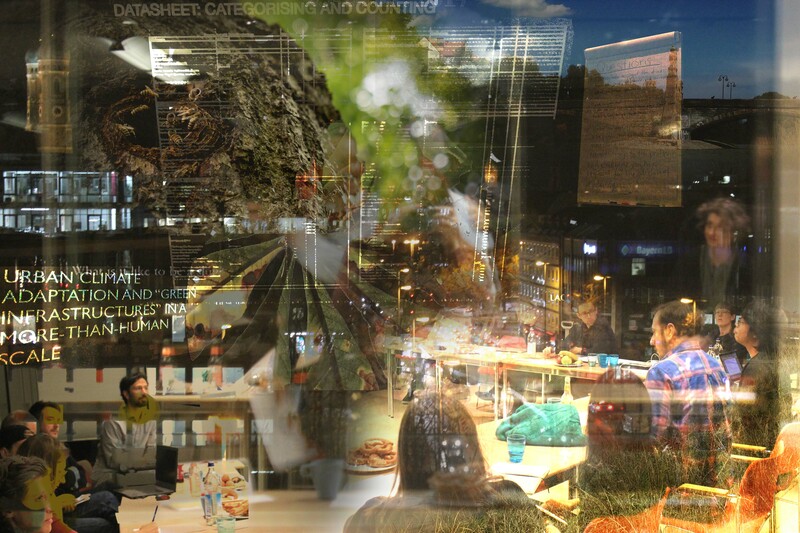 By sharing projects, experiences and reflections, the idea was to attempt what seems impossible: to reimagine the public squares of our cities beyond the modern constitution and explore alternative conceptualizations of urban squares and/or approaches to designing within socio-ecological assemblages. The figure of circling the square had three attributes we wanted to fathom in weaving together interdisciplinary concepts and methods. We asked ourselves how to move from the ‘human scale’ to the ‘more-than-human scale’ when exploring, problematizing, re- designing and intervening into public squares. This should begin, as anthropologist Felix Remter (STS, TU Munich) noted, by reassembling ‘life between buildings’. The quote is from Jan Gehl, an architect acclaimed for his efforts at recovering the human scale in contemporary urbanism. But what about the non-human scale? What about the stressed trees, empathic scientists or squatting honeybees Felix has been encountering in various squares of Munich? What about the wild boars that appropriate playgrounds, shape the cultural identity and trigger controversies about bow hunting in a peri-urban neighborhood of Barcelona that anthropologist Anibal Arregui (Univ. Vienna) is following ethnographically? In practice, Anibal argued, the square is already circled, for in every single engagement with it, inhabitants are forced to think eco-politically. Accordingly, the challenge is, as also Felix Remter put it, to make more-than-human relations a matter of design. But how? What would that entail? As design researchers Li Jönsson and Sissel Olander (Academy of Fine Arts, Copenhagen) suggested, this would require designers to experiment with artefacts and their own bodies in order to attempt to experience urban space as animals, such as urban pigeons and slugs. Even by failing to become such animals, designers would be better equipped to imagine ecologies that support beneficial relationships between humans and nonhumans. Yet, as designer Martín Ávila (Konstfack, Stockholm) reminded us, response-ability is not just about cohabitation. Response-ability might also be a matter of killing ecologically. Martín presented the scorpion trap that he designed for showers’ sinks in Argentina; traps that are aimed to establish a relationship between humans and scorpions, even if this ends up with the latter as a corpse. Three issues became thus evident: first, designing more-than-human relationships is about carefully designing the limits of cohabitation – who might be sacrificed, which perspectives cannot be embodied. Second, cohabitation is less about intentionality than about how different entities modify each other. And, finally, that paying attention to the more-than-human life of squares might also require us to look at spaces that do not count as squares for us, but might do so for bees or scorpions. Do squares have politics? If yes, how to move from a representational understanding of the square as a stage for political expression to a performative one, where the square is the issue, the problem, the very source of politicization? So, how do squares politicize? One important thread of discussion involved the experimentation with how to make infrastructures and natures present in squares. According to architect Uriel Fogué (elii and European University of Madrid), it is through making visible the technical infrastructures that users can relate to the squares’ complex political ecological entanglements. His project ‘Urban Trees’ consists of interactive technical devices that invite square users to generate electric power to illuminate and water the square by cycling at the tree. Based on this, Fogué proposed two key principles for design interventions: first, the need to move from the ‘nudging’ of users to interventions that require the ‘care’ of users. And, second, the need to treat squares as laboratories, accepting the possibility of failing to enroll users as care givers. These two principles resonate with the idea of biophilic design presented by urban planners Sruti Venkatakrishnan and Nicole Porter (University of Nottingham). Working with the emotional attachments humans have to nature, biophilic design would call into question the functionalism underlying green infrastructures and ecosystem services and propose experimenting with different ways of making nature present in the squares. The question of how the materialities of squares are made present is not just a matter of urban design, but also one of visual representations. Inspired by Alexander von Humboldt’s notion of cosmos, landscape architect Lisa Rathjen (TU Munich) presented an extremely exhaustive method of photographing single architectural elements of a square and creating visual compositions with hundreds of images that give a sense of both holism and fragmentation. The philosopher and psychosomatic doctor Martin Dornberg (University Freiburg) and the media artist-scientist Daniel Fetzner (Hochschule Offenburg) invited us to a radical encounter of bodies, matter and thought in a garbage city through digitally deformed 360° video. Through this interactive media-ecological meshwork they offered a ‘wild topology’ as a less cartesian and more experiential relation to space, inspiring more embodied and experiential design approaches. The operation of making square materialities present both for square users and in visual representations emerged in our conversations as an overt political strategy to undo the predominant distribution of the sensible in public space and to foster other modes of relating. 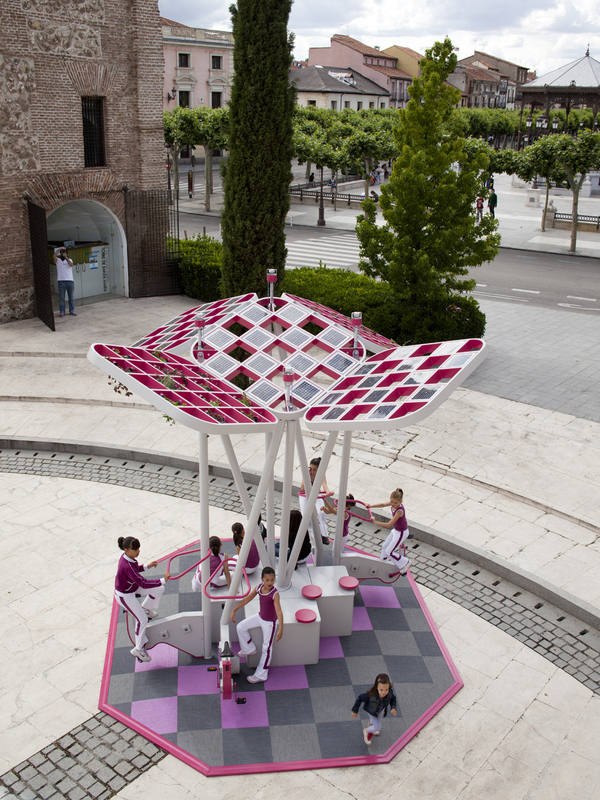 Circling the square involves taking serious new articulations of the circular economy and exploring what happens to public life when urban squares begin to be conceived as orchards or urban farms. For one, we quickly came to agree that the modernist notion that food production is a purely reproductive activity at odds with the emancipatory capacity of the public space is highly problematic. Instead it seemed crucial to pay attention to the excesses of public farming. The biologist and architect Eftihis Efthimiou (Decode Fab Lab, Athens) delved into the pornographic features of squares as sites of excess, surplus and desire, where everything grows with and against everything else. In such context, he argues urban farming is not to be understood as a means of production, but as a mode of farming more-than-human socialities. Along somewhat similar lines, design researcher Karianne Fogelberg (Academie of Fine Arts, Munich) explored attempts at designing food ecologies in public spaces by different designers and guerrilla activists. In this context, ecology does not refer to the relationships between people and their environments, but operates as a conceptual figure for reconceptualizing public squares as sources of hybridization. This involves going beyond conventional conceptualizations of food as a matter of design to pay attention to processes of becoming with food, thus again insisting on the cultivation of something more than food. Similarly, the ornamental use of greenery in landscaping public squares was problematized as a missed opportunity to transform squares into spaces for becoming with and learning about changing urban natures. The urban gardener Kevin-Lee Kersten (Berlin) presented his adaptation of permaculture as a design principle for adaptive and productive public squares that is based on the notion that there is no nature, but only functions, vectors, forces. Telling the story of the Holzmarkt in Berlin, he described a highly situated and reversible design process that requires a constant learning from and working with the human and other-than-human forces shaping the space. The designer Gaja Mežnarić Osole (Studio Trajna, Ljubljana) invited us to learn from the ‘invasive’ Ailantus tree as a practical research tool for questioning how and with whom to collaborate. Conventionally, invasive plants are framed as causing damage into environments with huge economic consequences. However, many invasive species are pioneers in regenerating destroyed environments. Introducing also the case of a nomadic square, where bees produce ailanthus honey, Gaja shifted our attention to the capacities of (often uninvited) invaders to circle the square and build a diverse web of public life and exchange. Figure 3: Workshop participants at Oscar von Miller Forum, Munich. November, 2017.
what a government authority says it is!! But, more importantly, a square never comes alone. It is always a bunch of squares coexisting side by side. Hence, rather than having to articulate or coordinate the long list of multiple, sometimes even contradictory versions and definitions of what a square is, we could stick to and even radicalize their heterogeneity. Squares are prototypes of natures-cultures. They are less than one, always unfinished, incomplete. But they are also more than many, as they entail uncovered potentials, not yet actualized becomings. a good selling strategy: exploring the equivocations in the current policy discourses, while keeping all the above in the fine print. This project is led by Regine Keller and Ignacio Farías, hosted by the TUM Center for Urban Natures and Climate Change and funded by the Bavarian Ministry of the Environment and Consumer Protection. 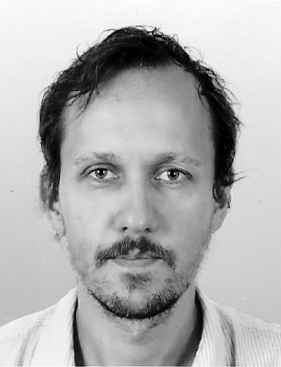 Felix Remter studied social and cultural anthropology in 2009 - 2015 at LMU Munich. 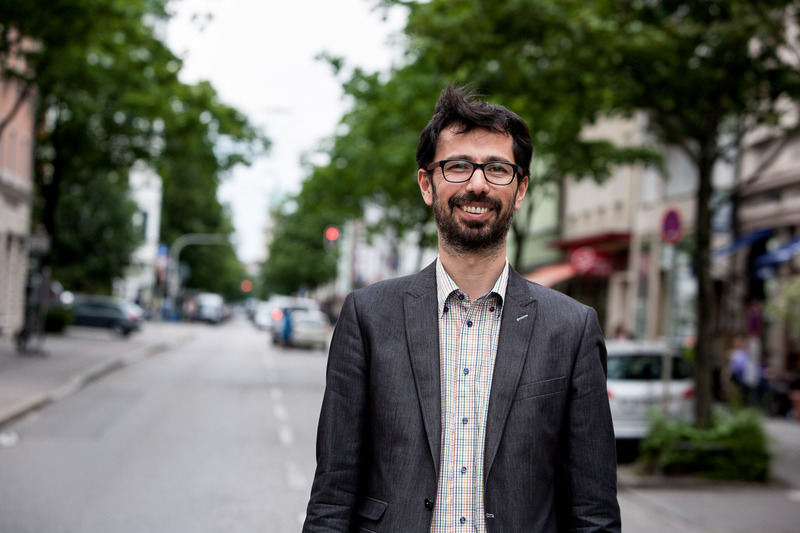 Currently he is working at the Munich Centre for Technology in Society (TU Munich) co-implementing the project 100Places:M within the Centre for Urban Ecology and Climate Adaptation (ZSK). Into this work, he brings further experiences from studying landscape architecture, from multisited fieldwork in human honeybee entanglements and from teaching and practicing multimedia ethnography. Ignacio Farías is professor for Urban Anthropology at the Humboldt University of Berlin. 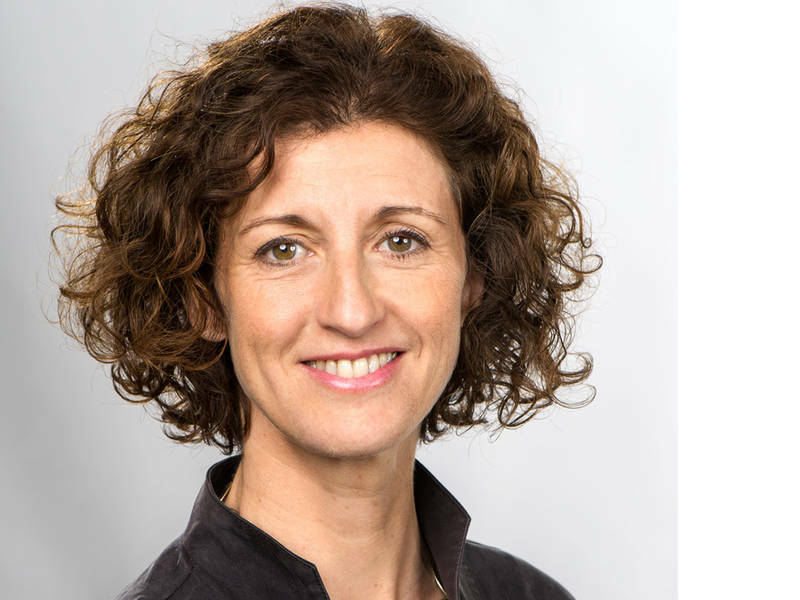 Regine Keller is professor of Landscape Architecture and Public Space at the Technical University of Munich.